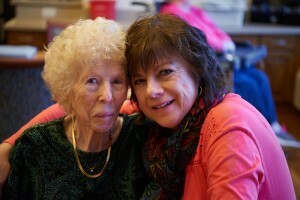 Mary Allison of St. Joseph Parish in Menomonie visits her mom at the Neighbors of Dunn County Memory Care household. Visiting those who are sick, recovering from surgery or homebound can start with your own family. Visiting the sick is a corporal work of mercy but, to many, it can be the hardest one to do. It is perfectly natural to feel uncertain visiting someone who is sick or homebound. 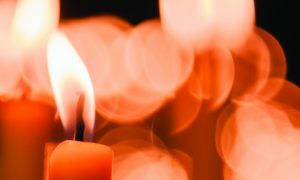 Maybe you don’t know what to say or even fear illness or being uncomfortable, but there are some simple steps you can take to make this crucial work of mercy your greatest mission this year. Visiting the sick also doesn’t have to mean visiting those who are dying, which is a common misconception. Visiting a new mother and bringing a meal for her family, stopping in to see a kid who has just broken their arm, or sending a sympathy or get well card to a sick friend; these are all signs that mercy lives within you. If you have never deliberately set out to perform this particular work of mercy, taking small steps is a great way to start. 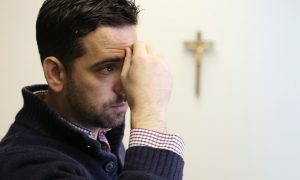 Those who are sick or homebound can often feel neglected or forgotten and through your efforts you can provide that positivity, support and companionship they need to still feel included in their own parish. what the needs of the parish are, whether it is bringing Holy Communion or just making a friendly visit. You may also be able to go on a few visits with them first to acclimate yourself to the process. • Before your visit, gather some information about the person who is sick, which could give you some good conversation starters. • Be sure to make an appointment. Even if you have a regularly scheduled time for visiting, call to confirm since the situation may change. The person may not be up for a visit because of various circumstances. 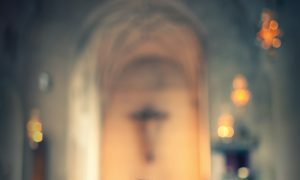 If you are bringing Holy Communion, you may also want to ask if additional family members or the caretaker would like to receive. • Once you have decided who or where you will visit, be prepared for a variety of reactions. Some may wish to pray, sit in silence or just talk about everyday topics like the weather. Don’t feel pressured to have deep, theological conversations, often it’s more about showing the person you care than what you talk about. • Be aware of their physical condition when you enter a person’s home or room. If you find it difficult to look at the person because of their physical condition, concentrate on their eyes. • Take plenty of time for introduction and personal sharing. This is a member of your parish family so it’s important that the conversation isn’t one-sided. • As a minister of Christ, you are helping to deliver comfort and companionship. Do not feel like you have to heal their physical wounds or solve their problems. • Don’t be afraid to be yourself during your visit. Although some situations may be uncomfortable, it is important that you are relaxed and feel that you can speak freely. It doesn’t have to be overly formal. • Be sure that any information discussed in the visit is kept confidential. • Try to end every visit with a prayer of blessing and a promise to visit again if they desire it. Before your first visit it may be helpful to pick up a copy of A Ritual for Laypersons (Liturgical Press, 2012), as it contains Scripture readings and blessings like the one above, for a variety of situations and is a helpful resource when someone wishes to pray. How does it work if I need a visitor? Because of HIPPA laws, hospitals and assisted living homes will not voluntarily call parishes to inform them of a Catholic patient. Therefore, the responsibility of informing the parish of a change of health or the desire for a visit, whether by priest, deacon, or lay person, is up to the person who is sick or their family and friends. If you are homebound, in the hospital or in an assisted living home and wish for a parish visitor, please contact your local parish and they will work to set up a visit. Sister Kathy Stuttgen, FSPA, is the Minister and advocate for the elderly and the sick at Mary, Mother of the Church in La Crosse, and for the last 15 years she has been helping minister to those who are sick and homebound. 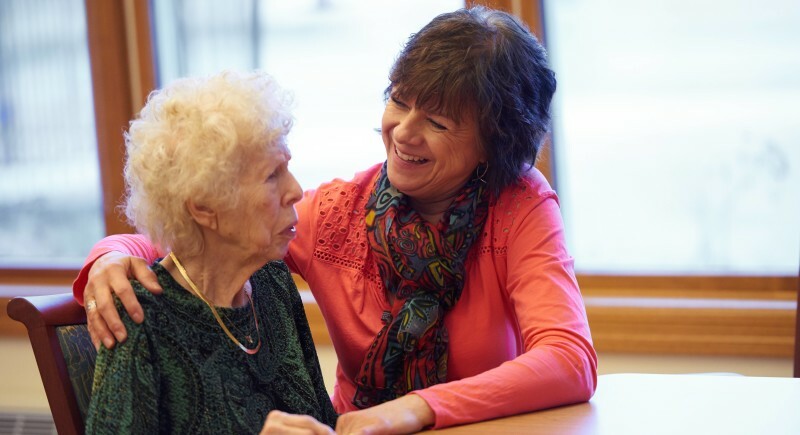 She works for the parish members who tend to be out of sight: the elderly, sick, lonely, grieving, frail, and marginal, but one of the aspects of the job she finds most rewarding is that she can connect parishioners, who may feel forgotten themselves, to one another and to develop deeper relationships between parishioners. She said it could be as simple as going to the assisted living home and pushing people in wheelchairs to play bingo. Sister Kathy is on a mission to visit anyone she can during a stay at the hospital but said she needs help finding out who needs a visit. Please contact your local parish to request a visit to a hospital room or home for either yourself or a family member.